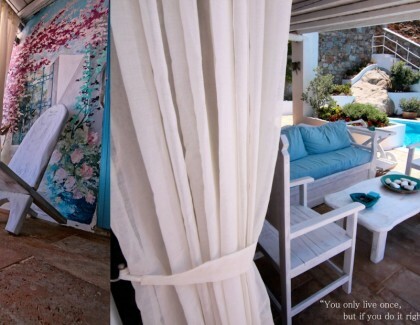 La Vie in Blue was chosen among the top 25 villas in the world for Honeymoon and Wedding events in Spring 2013 by Conde Nast UK’s Brides Magazine. 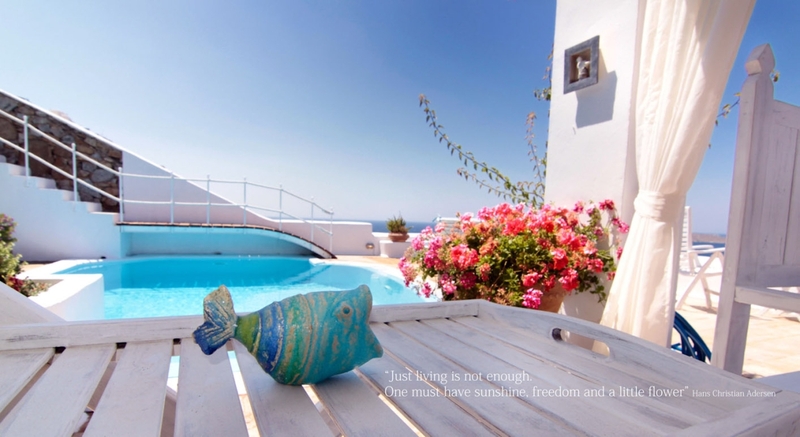 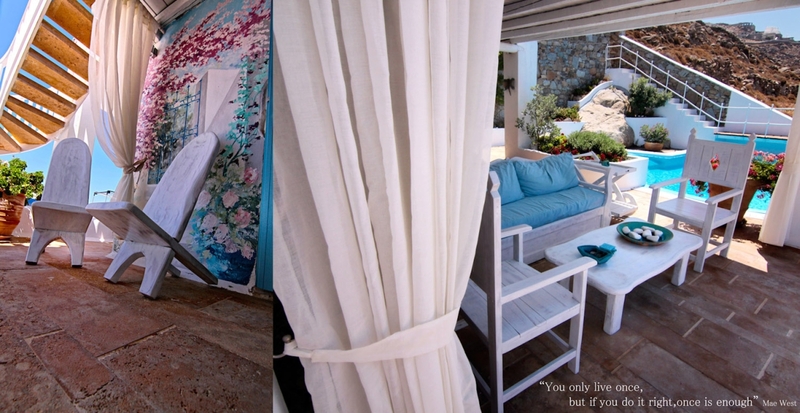 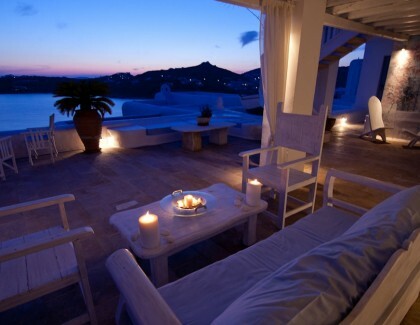 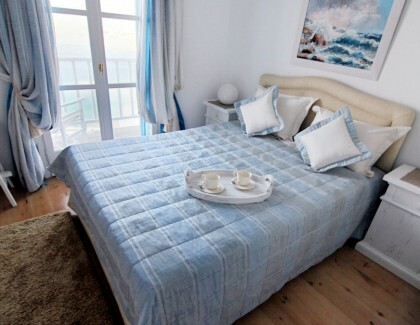 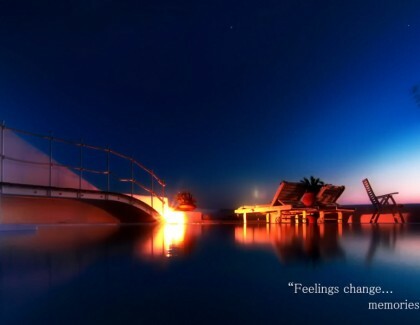 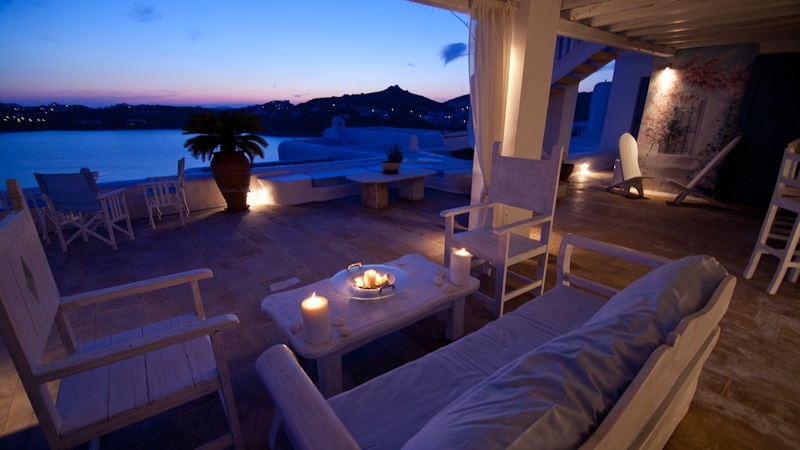 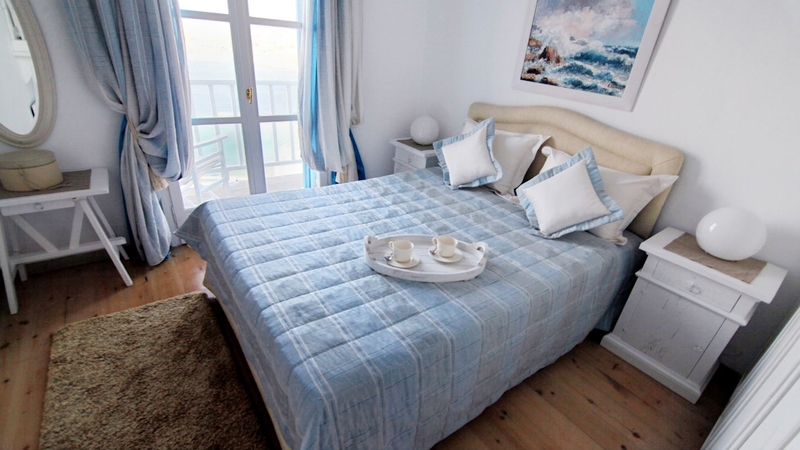 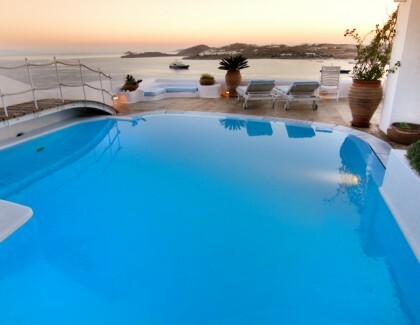 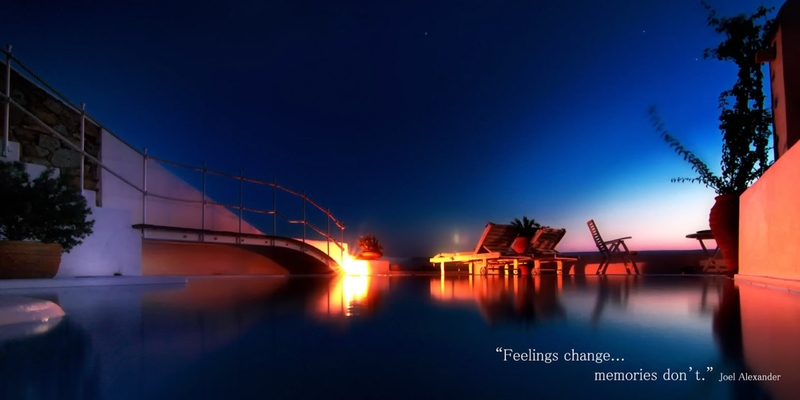 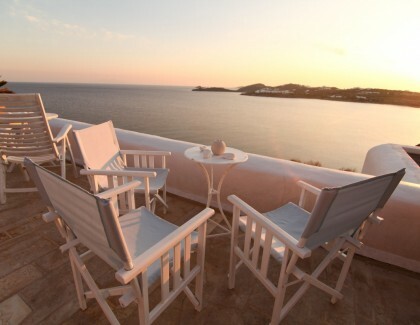 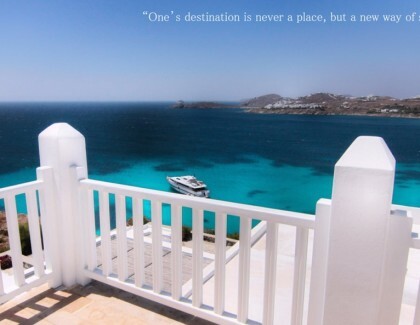 This is an honouring distinction, the only villa in Mykonos named in this list. 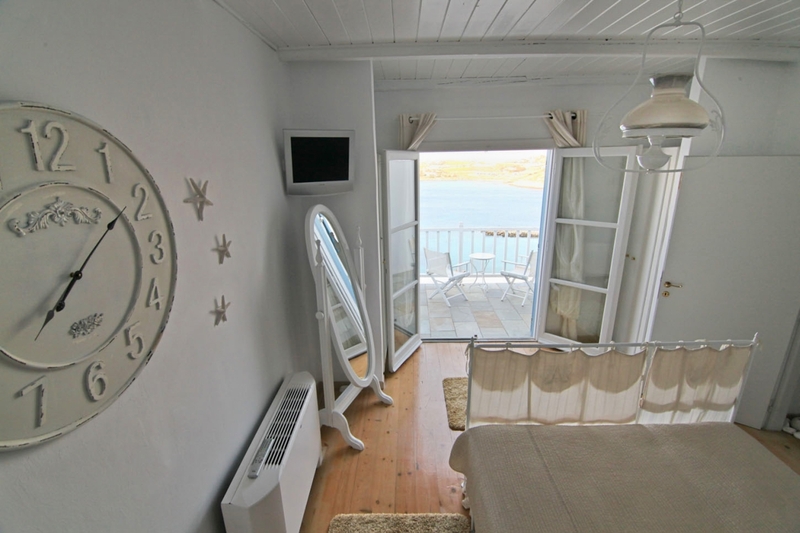 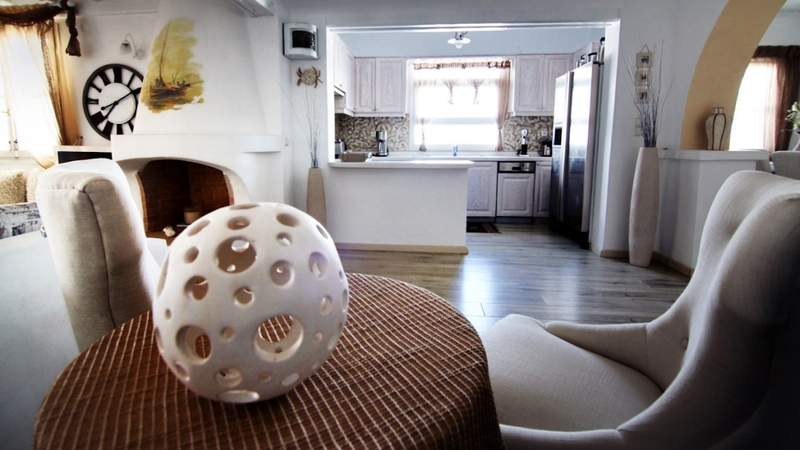 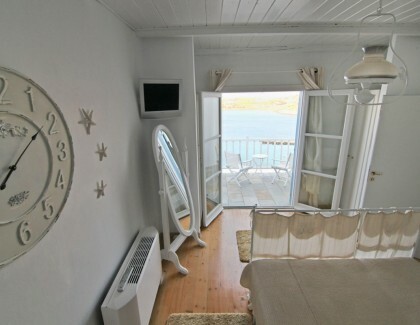 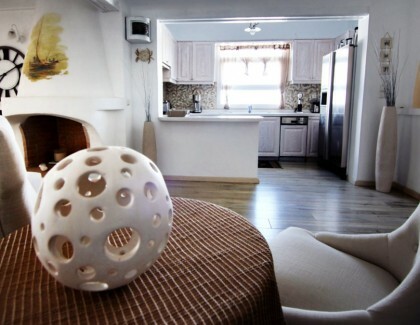 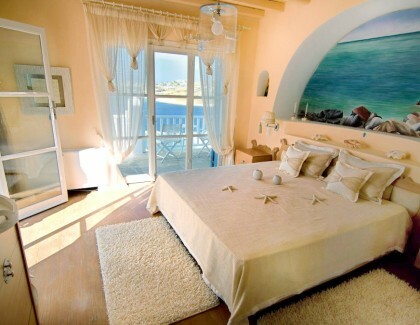 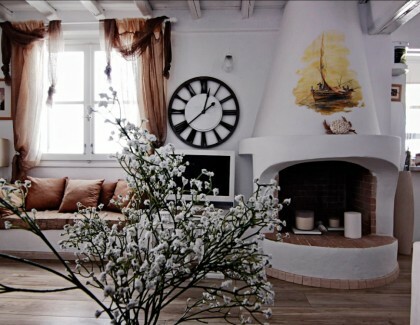 The villa is located in Agios Lazaros, with great views towards the west and the island of Delos. 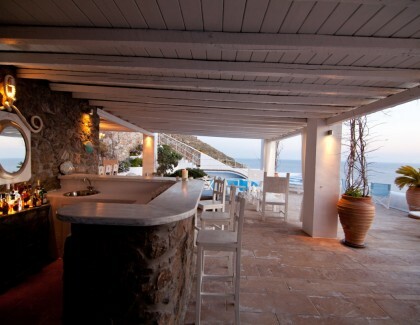 It is right next to Santa Marina Resort and Villas, sharing its private beach. 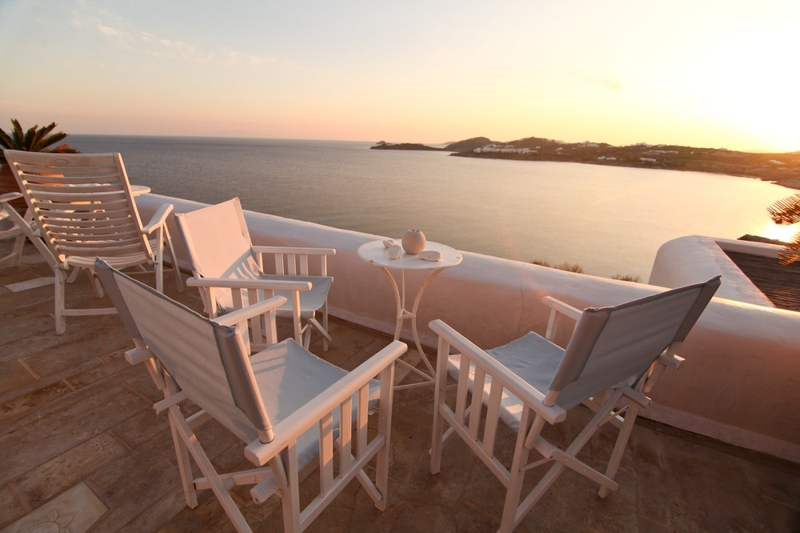 This is a popular destination for the biggest names in Europe and Hollywood celebrities thanks to its excellent position on the island. 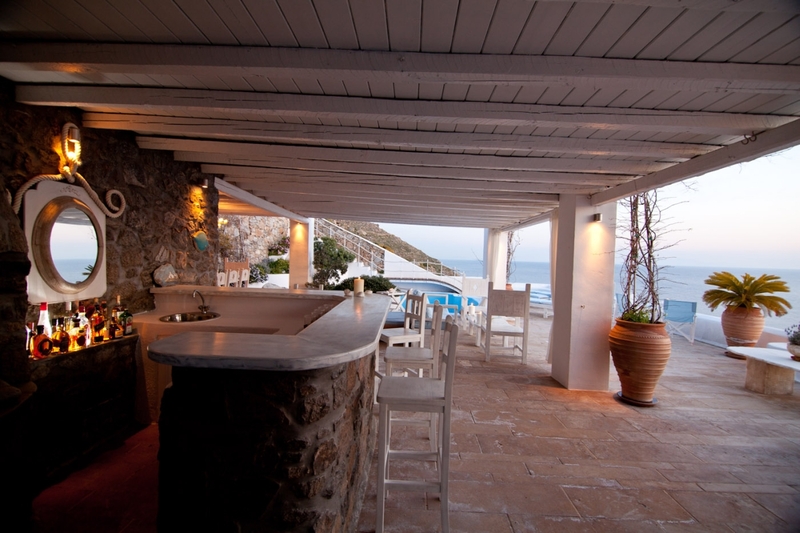 The architecture and design of the villa blends in with the rocky surroundings. 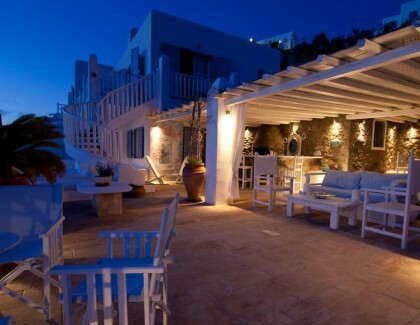 Being part of a secured residential area grants the highest level of security and privacy any guest could wish for. 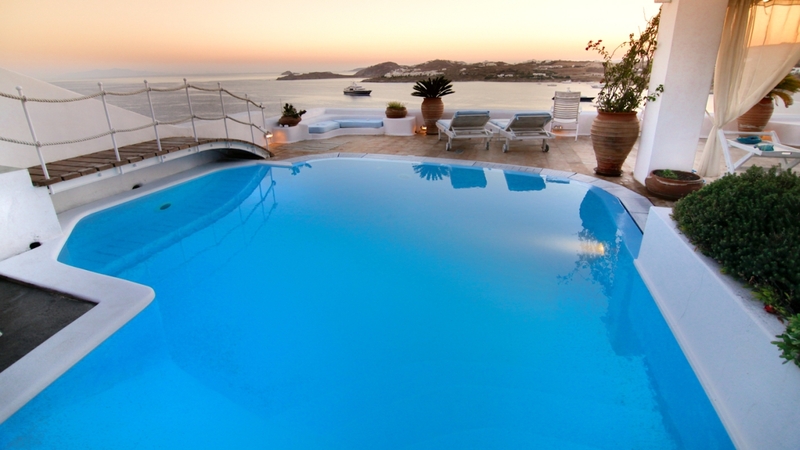 Sea access is made via the stairs, directly from the villa. 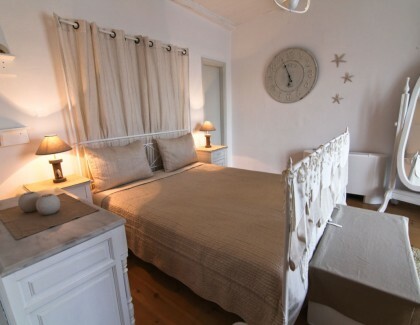 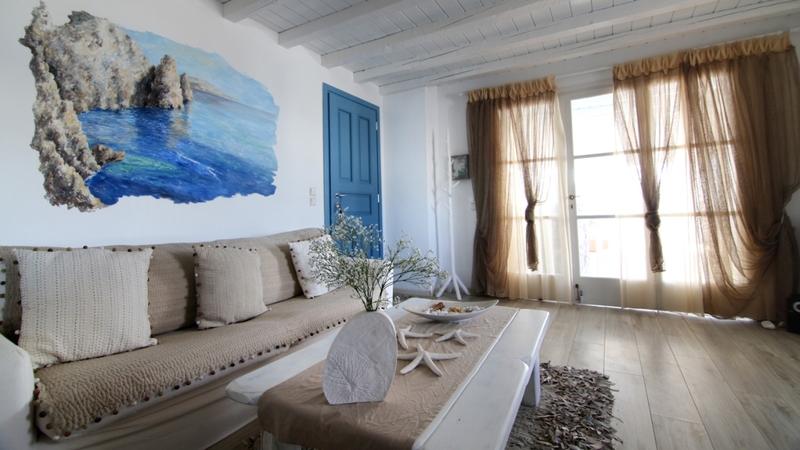 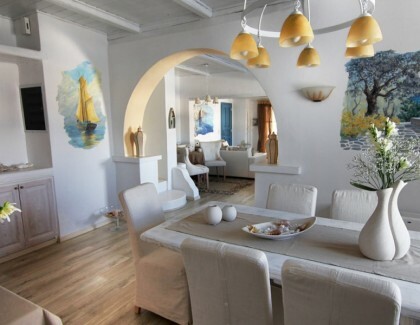 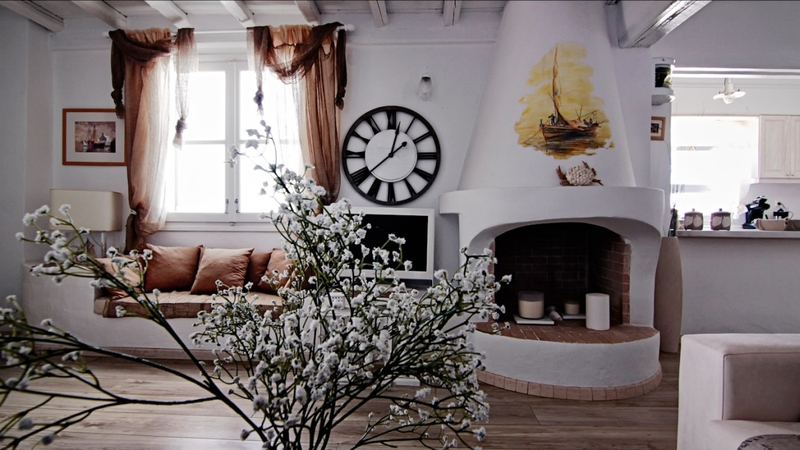 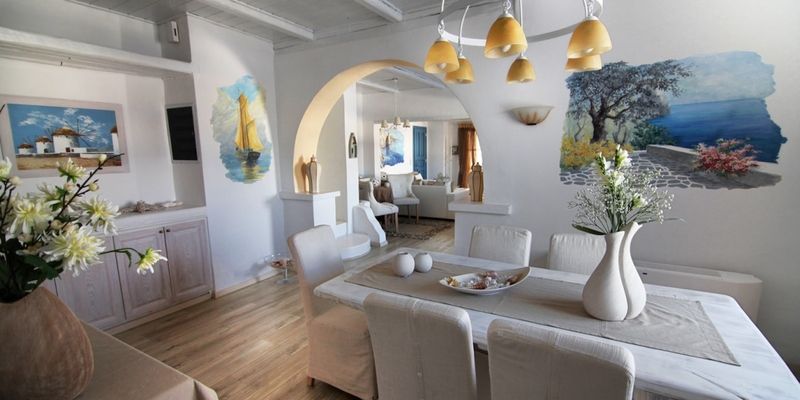 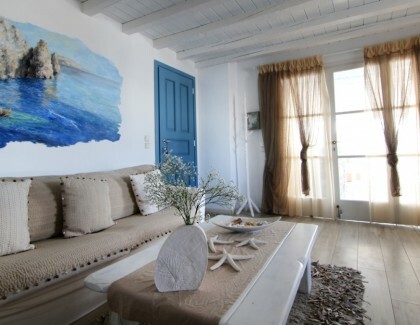 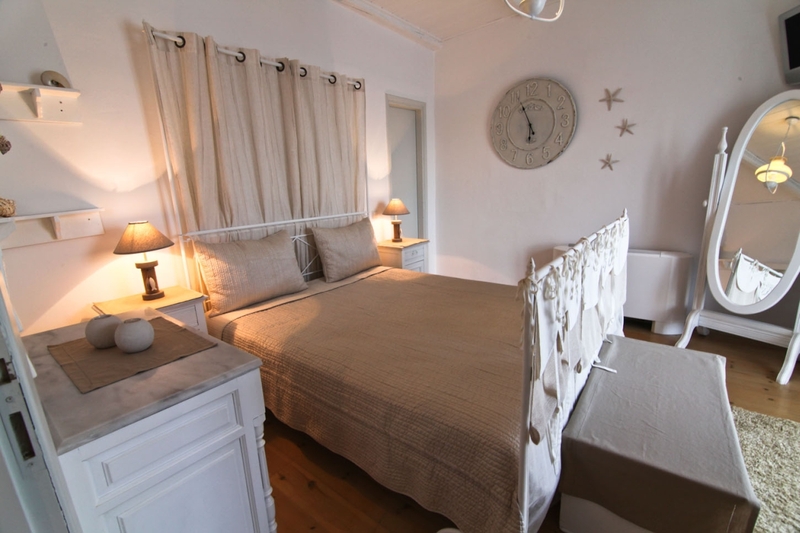 The overall design follows the traditional Cycladic inspirations, with white walls and blue motifs, with the interiors very nicely decorated with inspired wall paintings. 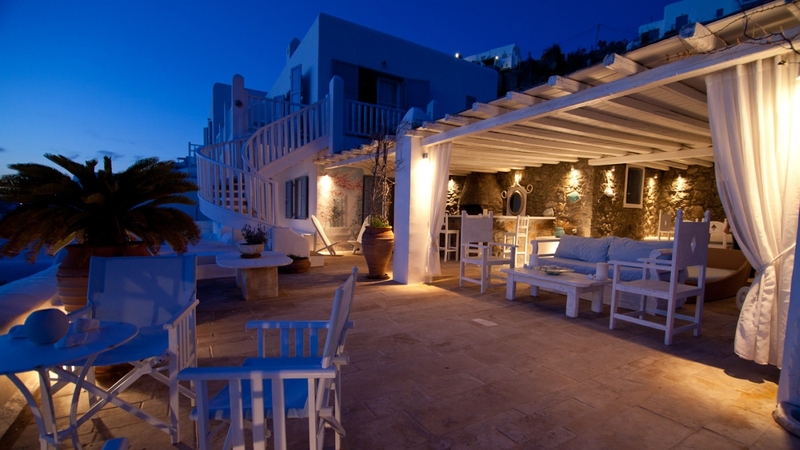 The verandah is one of the most popular areas of the entire property, boasting a very nice swimming pool, lounge area and al-fresco dining for 12 guests, as well as a barbecue area and stone bar, key ingredients for memorable vacations in Mykonos. 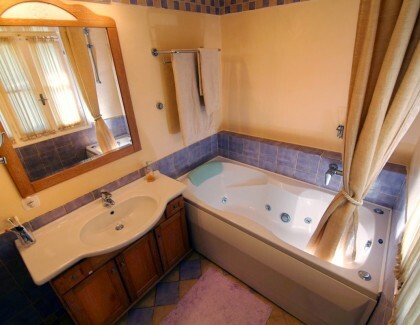 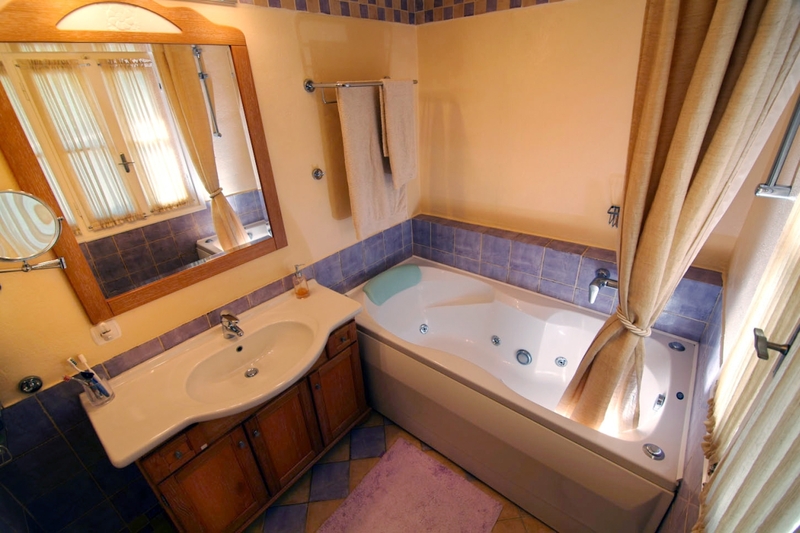 Master bedroom, en suite bathroom with Jacuzzi and private balcony. 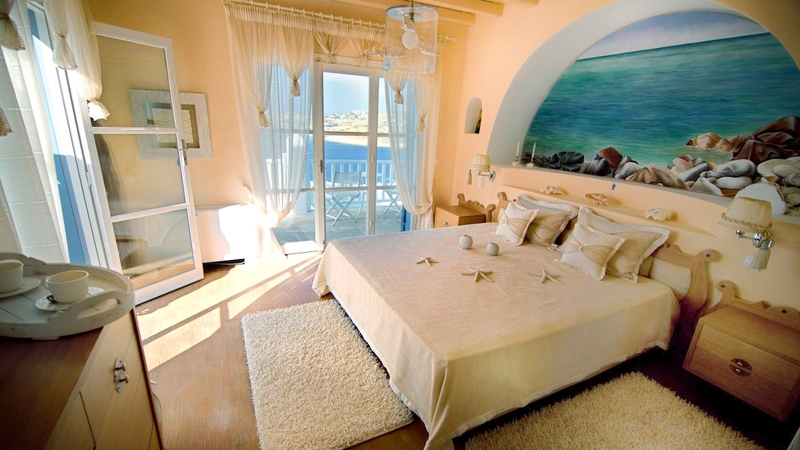 One queen bedroom, a smaller balcony and outside bathroom.